The message of the Fortune Card is to stay faithful to your own destiny. 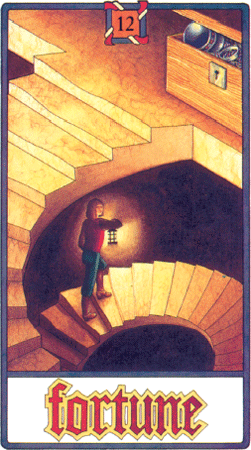 It is pointing you up the winding stair to find your own unique path that ascends upwards to your higher self and your own inner development. It is telling you to have faith in yourself and its message is not to be down-hearted by negative thinking and criticism.